The winter holidays can be a chaotic time in the world of logistics. There is a great deal of planning that must happen before the holiday season hits, and it starts earlier than one would think. From the summer months to the winter, one must add seasonal products to the lineup, build an inventory pipeline, prepare for restrictions and delays in the transportation arena, and plan for a spike in returns. Read on for more details of what you should do for your eCommerce holiday prep. It’s never too early to add seasonal products to your lineup. It’s important to be creative and continually brainstorm new ideas—and test them. You may find that seasonal products may sell well throughout other periods throughout the year (rather than the traditional holiday season), depending on your demographics. You may also wish to add additional seasonal products that you hadn’t considered before, depending on who you are selling to. In addition to adding those seasonal products, you’ll want to generate excitement about those products in the off months (read further for more information on how your marketing calendar can contribute to this). The addition of seasonal products also calls for inventory management and the development of an inventory pipeline. 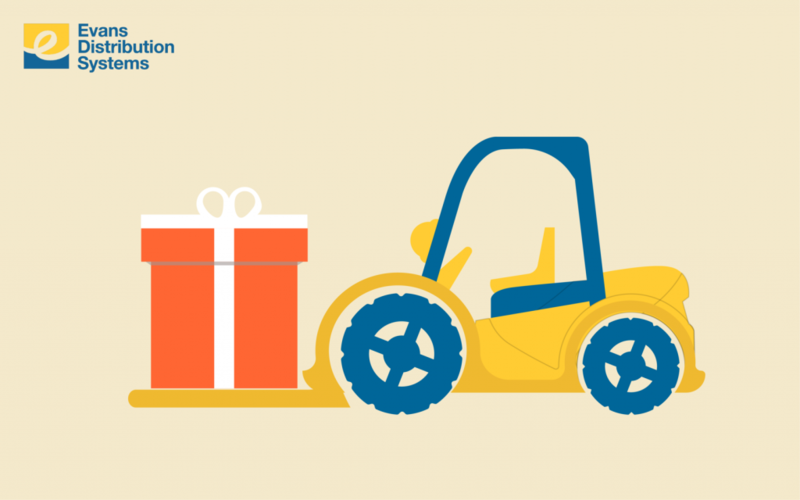 When starting your eCommerce holiday prep, are you planning procurement early enough? Just as the wintertime is far off (or not so much, if you’re employed in logistics), the strategy of a pipeline plans the product’s travel and destination (your customer’s doorstep) before the manufacturing process even begins. You’ll want to decide how long the product will remain in the pipeline, and how this will affect the seasonality of your product. How will this also affect the timeliness of seasonal orders? How will this affect your promise to have shipments to customers made in time for the holidays? The development of marketing calendars is crucial to your continued success, and can help to produce excitement about your products in the off-season. Prepare for the incoming season through the establishment of an effective marketing calendar. For example, maybe you are interested in creating a trickle campaign for Black Friday (of course, many companies do this). It may be crucial to your sales to begin those kinds of marketing initiatives well in advance. It’s never too early to start. Begin constructing your marketing calendars in the summer months (if you’re in the Northern Hemisphere) in preparation for the winter holidays. You may even wish to drum up excitement through such faux-holidays as Christmas in July—or consider those customers that celebrate holidays during the summer season (such as in the Southern Hemisphere). Think about how you can produce a need for seasonal products in customers through specific campaigns that target their future holiday needs. Think beyond the traditional December 25th celebrations: there are dozens of holidays and celebrations around that period of time, beyond just Christmas. In addition to planning your marketing calendar, building your inventory pipeline, and adding seasonal products to your lineup, you may want to prepare your company for a necessary tightening of your transportation capacity. Not every year makes for a perfect delivery rate for companies like UPS and FedEx—though it’d be quite difficult to have a perfect year in general: “[f]ailing to make deliveries on time tend to tarnish their reputations significantly, while hurting investor sentiment even more.” The on-time arrival rate for ground-delivery services in 2017 at UPS was 99.1%. For FedEx, this percentage was 98.7%. Not every year is a good one for companies like FedEx and UPS. It may be beneficial to look at alternatives to FedEx and UPS as well. You don’t want customers to vent their frustrations on social media, especially when the shipping process isn’t entirely in your hands—you want to rely on a company that will ship your orders on time, 100% of the time (though this may be a stretch). As eCommerce orders rise, it stands to reason that the amount of return orders will rise as well. If your orders spike, you’ll have more returns. You want your returns to be efficient and speedy, so as not to tarnish your reputation as seller. Holiday shipping and returns are directly responsible for a large portion of eCommerce. What do other companies do about/prepare for holiday returns? Many companies are focused on developing the omni-channel experience, or the ability to move seamlessly from one way of purchasing to another—for example, purchasing an item on a smartphone, and later returning it to the store without a hassle. The omni-channel experience doesn’t necessarily start with buying and end with purchasing; it flows into the returns practice and the decision-making process. When all of the return items are flooding back, transportation can become constrained, especially in today’s eCommerce climate. That’s why it’s important to establish a process that easily processes returns and quickly loads them back to the original buyer. Depending on your process, you may wish to streamline a leaner process of returns by including a label with the order. Here at Evans, we’re prepared to assist you with your eCommerce holiday prep, in packaging, shipping, warehousing, transportation and much more. Simply give us a call or shoot us an email, and we’ll be back in touch as soon as possible to discuss your project.